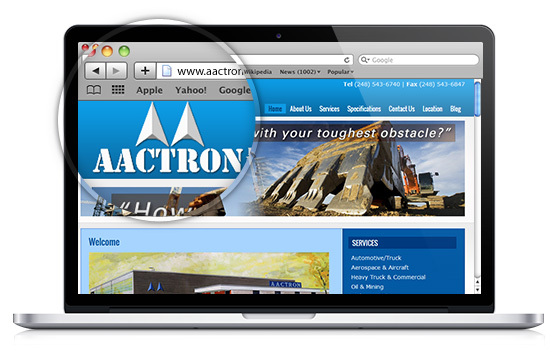 A brand new website for Aactron helped create a brand new image for the company. For two generations, Aactron has worked with automotive, aerospace, military, and other services, specializing in coating applications and custom coating services. In an ever-changing world, Aactron stays true to the industry while innovating itself time after time.